But this is only half of the story. Half of mankind do not get the nutrients people need. These people do get enough calories, but have a lack of essentials like vitamins and minerals. Even minor shortages can cause mortality in children and problems in the development of intelligence and the immune system. Biotechnology can help by creating transgene crops. The technology to change genetics in plants has been known already for many years. The big question is, why has it not been used to fight these shortages. Read the text ‘Where is the superfood? It is a long story. When you work with a small group you can best organize it like this: everybody reads the whole article superficially, after that each student takes one part to study more carefully, for instance like this: student 1: ‘Golden Rice’ and ‘Other experiments’, student 2: ‘Cassava’ and ‘Field experiments’ and ‘Rules, rules rules’, and number 3: ‘Purple tomatoes’ and ‘Carrots’. Make a short note about your part of the text. Do you know how GM (genetically modified) plants are made? If not, find out, if yes, explain. Use the pictures in the text. Explain so that a 12 year old can understand. What are the ‘essential nutrients’?. Mention 4 of them and tell in which sort of food you get it, and which disease or problem you get without it. Why is GM-cotton and GM-soya which are made resistent to herbicides good for the farmer? (and not for the consumer)? Why are biotechnologists so fond of the bacterium Agrobacterium. What does this bacterium do in the natural situation? 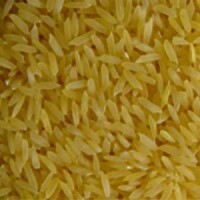 What is the reason they cross Golden Rice with local breeds of rice? Is this only to please the local farmers, or do they have good practical (ecological) reasons for this? In Europe using GM-crops is (still) forbidden (except in limited experiments). In the USA and many other countries most of the cotton and soya are transgenic nowadays. But permits are not easily given. Why are people so afraid of GM? What are the risks? In Africa they follow the European Union in this. Why is that, you think? Make a list of the positive and one of the negative aspects of transgene crops. Discuss these and try to formulate your own opinion.